In Darkroom, I refer to a 1965 home movie that my father made of Civil Rights marchers in my hometown of Marion, Alabama. Here is that footage, whose exact date cannot be established–sometime between late January and mid February of that year. All the scenes take place around the town square, with Perry County Courthouse at the center. Zion United Methodist Church is across the street. You can catch glimpses of the gift-shop parking lot where journalists stood on the fateful night of February 18th, and Mack’s Cafe, the place where Jimmie Lee Jackson was shot by an Alabama state trooper. In Darkroom, I devote an entire chapter to these events. Portions of this footage are featured in the excellent 2015 film Selma: The Bridge to the Ballot, a production of Teaching Tolerance and the Southern Poverty Law Center. The film is geared toward middle school students. To obtain more information, go here. 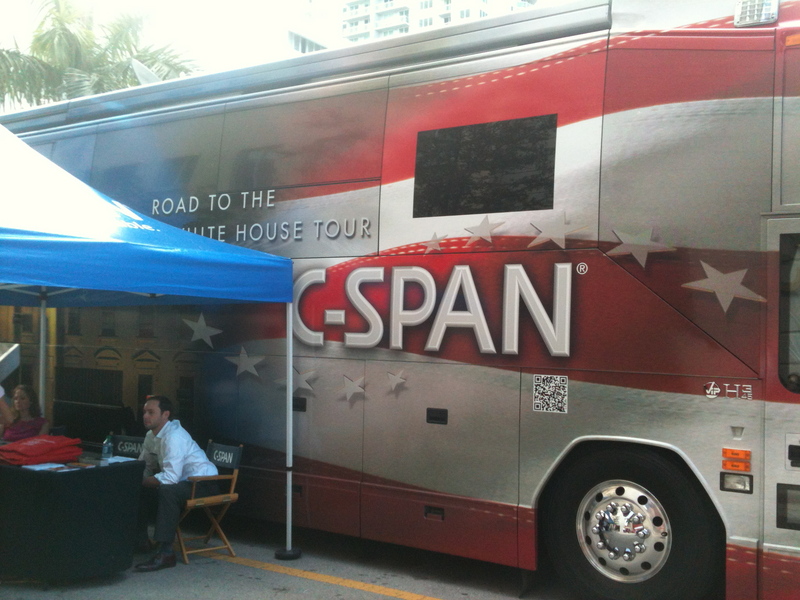 At the 2012 Miami Book Fair International, I was invited to sit down for an interview with C-SPAN’s Book TV! You can watch the video here.